Fits to Rohloff's new splined carrier. If converting from the screw on sprockets you'll need the splined carrier Rohloff's part 8540S (SJSC part 43202) as well. I got the 18T sprocket to replace the 16T that came with my year old Rohloff. An easy swap with just a snap-ring to contend with. This effectively eliminates my old highest gear that I never used anyway, and provides a much more useful lower gear for those sustained climbs. Also means less time peddling in the noisy 7th and more time in the nicer 8th for the same effect. Thank-you SJS for the swift delivery and professional follow through. Bought the 19 tooth sprocket to replace the 16 tooth on a new Rohloff hub. Easy to fit and works fine. What can I say? 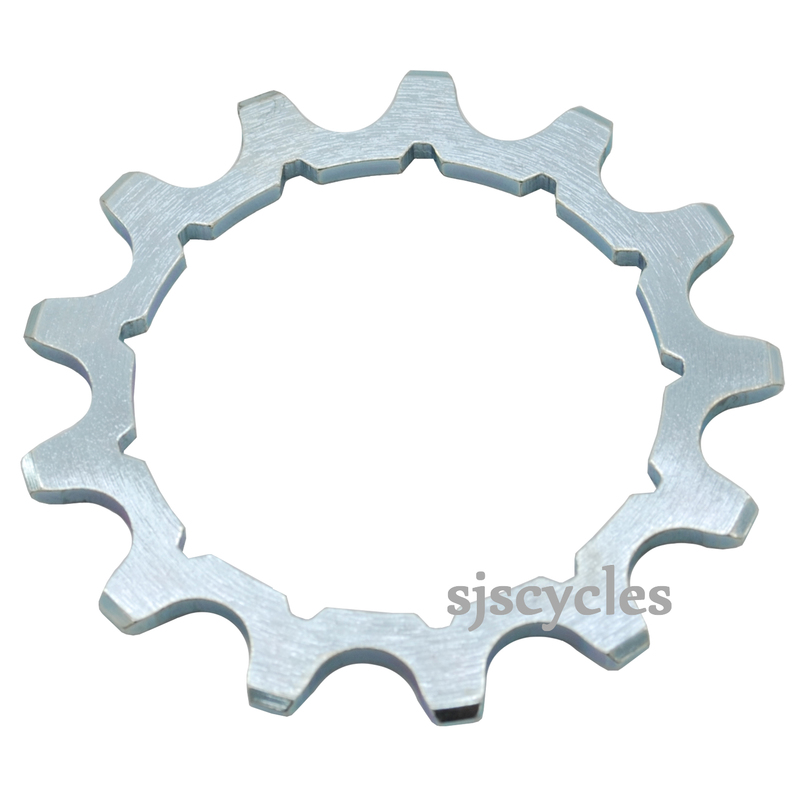 It's a sprocket - nice quality, easy to fit and should be easy to replace next time. I previously had the screw on version so it's initially a bit expensive having to replace the carrier and the sprocket. Just replaced my old style screw on rear sprocket with the new upgrade spline carrier and sprocket, going to be much easier in future to swap over/out old sprockets by just removing a split ring rather than a visit to LBS to ask mechanic to remove screw on sprocket on bench vice as previously due no doubt to huge amount of torque being generated on the tandem, which results in sprocket being too tight to remove using chain whip and spanner. Worth carrying an extra on a very long tour. Easily fitted to the splined carrier en-route. Quality Rohloff part. To reduce the gearing would it be preferable to increase the sprocket , currently 16t or reduce the chainring , currently 42t ? have you stopped selling the 14t sprocket? Rohloff have advised that the 13 and 14T sprockets can only be used for small wheel bikes. So they have been removed from the website to make sure they aren't purchased for the incorrect bikes.